Qualified appraisals, research services and appraisal consultations available. Art from Nigeria and Liberia is a particular focus of our gallery. Ethiopia, Ghana, Cameroon and the Congo are also represented. We have fine Yoruba and Benin works on hand, a collection of Dan masks, as well as furniture, textiles, currencies and terra cotta. We sell books, auction and exhibition catalogues on Sub-Saharan art. A number of rare books are available. 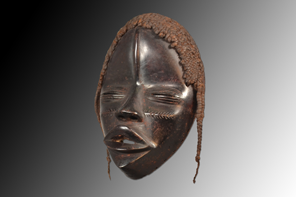 We provide appraisals of traditional African and Oceanic art and appraisal consultations for auction houses and museums. Charles Jones African Art has been in business for over twenty-five years. We display an extensive and varied collection of traditional African art in our Wilmington, NC gallery. We look forward to hearing about your collecting interests, and are happy to respond to requests for photographs or additional information. We also purchase individual pieces and collections of African art, including early photographic archives and books on African art. Charles Jones African Art offers appraisals and research services. We maintain a complete reference library, numbering over 1000 volumes, on the arts of Sub-Saharan Africa. Additionally, we have most of the major auction catalogues in our area, both European and American, dating back to the 1960’s. Charles Jones African Art and associate Maura Kropke, ISA AM, Accredited Member International Society of Appraisers provide appraisals of traditional African and Oceanic art and also works by recognized contemporary African artists. We also offer appraisal consultation on African pieces for auction houses and museums.